The page for Frontera Mex-Mex Grill menu prices. Recipient of Atlanta’s prestigious Consumers’ Choice Award for 13 straight years. Frontera Mex-Mex Grill offers guests authentic Mexican dishes using only the freshest ingredients. Guests can choose from favorites like quesadillas, burritos, and fajitas. The mission at Frontera’s is to provide every customer an authentic dining experience. At Frontera, everyone leaves happy. According to customer reviews, Frontera has the best salsa and nachos, as well as the best tasting Sangrias and Margaritas this side of the border. Below are the latest Frontera menu prices. Choosing Frontera to cater your next event is a surefire way to make it a success. Whether the event is a wedding, corporate meeting, or school event, the menu choices include a taco bar, fajitas bar, combo bar, or street tacos. Guests should contact the nearest Frontera location for more information. Frontera Mex-Mex Grills are great locations to hold fundraising events. 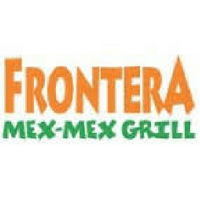 Frontera Mex-Mex Grill was founded by Mexican native Norberto Sanchez in 1987. Today, there are 11 locations across the state of Georgia. For more information about Frontera Mex-Mex Grill, please visit their official website. Does Frontera Mex-Mex Grill offer nutritional information for the menu? Yes, Frontera does have a nutritional guide that breaks down the nutritional values for each menu items. Does Frontera Mex-Mex Grill offer delivery service? Certain Frontera locations now offer delivery service. Guests should contact their nearest location to confirm if delivery service is available. What are the hours of operation for Frontera Mex-Mex Grill? Does Frontera Mex-Mex Grill offer take-out service? Frontera does offer take-out service of their complete menu. Guests can place a take-out order via phone.